Yesterday, kids across America learned of another heartless tragedy. It is getting harder to explain bad people to my children when they don't even begin to grasp that concept. They hear about things like the Las Vegas shooting and they are left with many questions. How could someone be so evil. What do we do if we are in a similar situation. How do we make the world better. 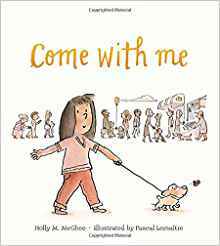 I was sent this book - Come With Me - by Holly McGhee. She wrote it years after 9/11 but with the event in mind. 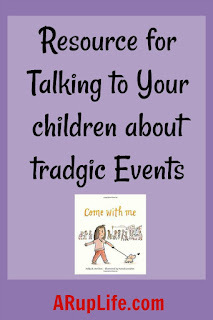 How can parents talk to children and help them remain fearless in a world that seems broken. I read this book with my 6 year old. He actually doesn't know about the current events. We've been able to keep that news from him but the time where he will hear about such things is coming all too soon. I loved how this book showed the parents choosing not to live in fear and the kids coming together. There is power in numbers and having a friend with you is a wonderful idea. This book is simple - the child starts by watching some television and seeing the current events. She asks her parents if there is anything she can do. They spend time with her, comforting her and taking her out of the house into the world to show that it isn't a bad place. This builds her confidence. It is a wonderful story. 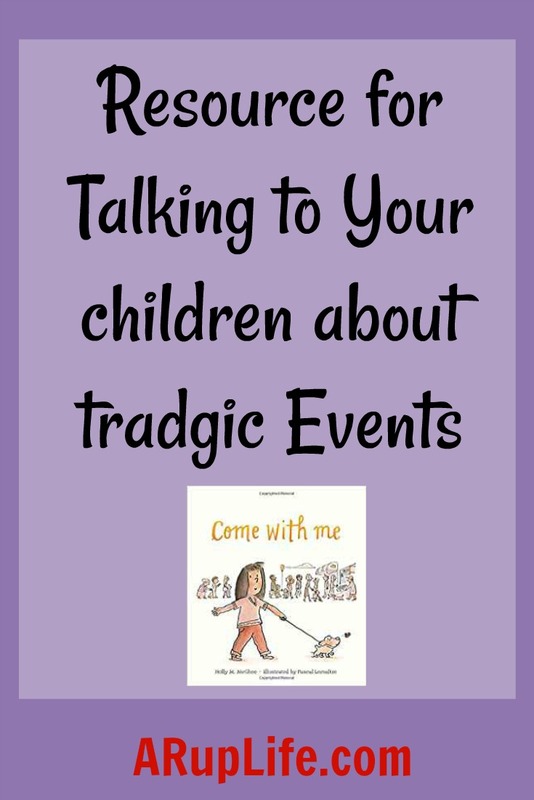 If your looking for a simple way to approach tragic events - this book is the answer. You can get your copy at your local bookstore or online at stores like Amazon. One lucky reader will win a copy of Come With Me! Should You Homeschool? 4 Questions to Ask Before You Take The Plunge! What You Really Need To Know To Start Homeschooling!